The “Red Jihad” has hit France again. It may be coming to a neighborhood near you. 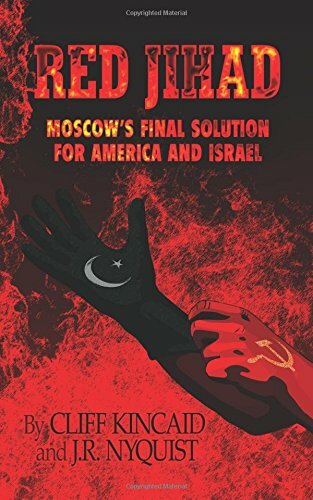 Former KGB officer Konstantin Preobrazhensky wrote Communists and Muslims: The Hidden Hand of the KGB. Please take some time to read it. Moscow is playing a devious game. Incredibly, the intent is to terrorize countries like France into embracing Moscow as the solution to global Jihad. Obama officials are already taking about holding a “global summit” on terrorism with Russia! That was the line taken today on MSNBC’s “Morning Joe” by Dr. Evelyn N. Farkas, the former Deputy Assistant Secretary of Defense for Russia/Ukraine/Eurasia. Cooperating with Russia is madness. Russia is the enemy.